A manufacturer can label anything as natural, the understanding being that minimal additives and synthetics have been used. 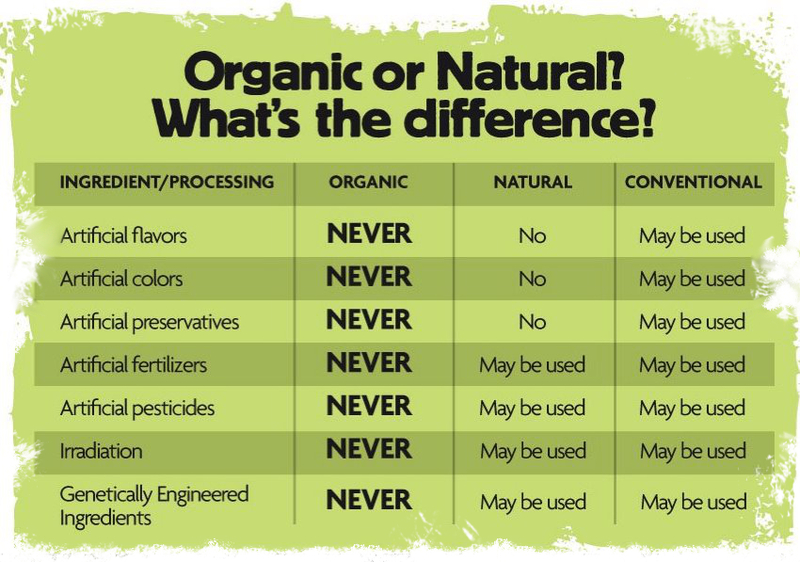 Anything created in an organic way has to legally have been produced by only using totally organic means. 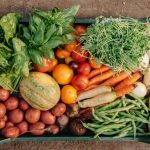 Both natural and organic food is in ready supply, with organic food now being sold in most supermarkets, but currently the demand for organic produce is greater than that for natural food, although that demand is on the increase. Natural food is starting to appear in supermarkets and can often be found in stores which specialize in health foods and products. Organic food is more expensive than natural food, and in turn, natural food is more expensive than processed food. Natural food will not stay fresh for as long as organic food, as the lack of additives means that it often has a high water content. The largest governing body for organic food is USDA – the United States Department of Agriculture, and the equivalent of that for natural food is INAPP – The International Association of Natural Products Producers. This association do not provide certification for natural food but they are trying to establish much more concrete criteria for food being termed as natural.